The Point Breeze Avenue Action Plan (the “Action Plan”) will serve as a guide to catalyze sustainable and equitable economic development in Point Breeze through the re-establishment of Point Breeze Avenue (“the Breeze”) as its primary commercial corridor within a five year timeframe. The Action Plan builds upon previous planning efforts, most notably two plans developed by Interface Studio in 2005 and 2009, with updated recommendations based on current conditions and planning best practices. The Action Plan is unique in its offering, providing specific tools and strategies to implement each recommendation. 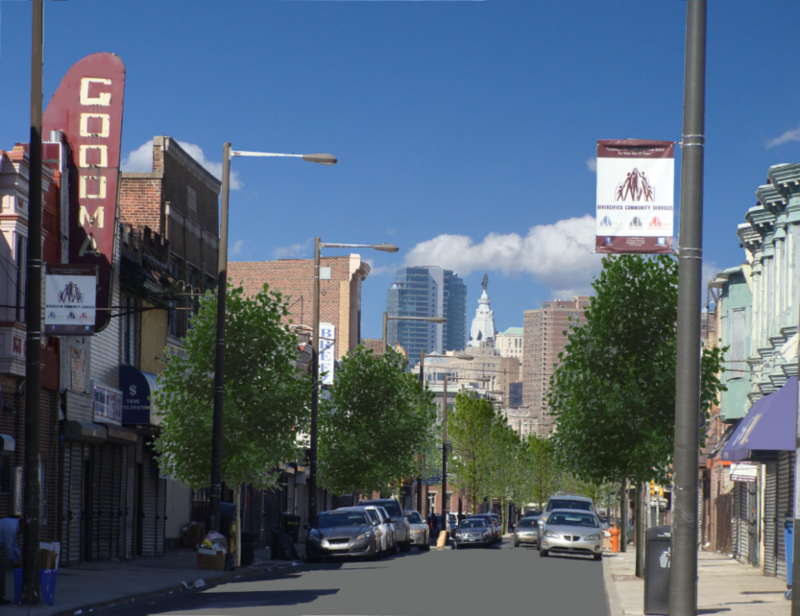 The Action Plan is intended to empower the community, the Point Breeze Community Development Corporation (Point Breeze CDC), and other partnering organizations to readily put the plan in motion. The recommendations suggested in the Action Plan are intended to address residents and business owners who have received many promises of change, but have not yet experienced that progress. The Action Plan will unite the neighborhood through a series of programs and initiatives that will make Point Breeze a stronger, healthier, and more sustainable community. Specific focus was given to addressing the issues of economic revitalization, neighborhood partnerships, food access, streetscapes and transportation, vacant lots and, where appropriate, possible funding sources are provided. It is our hope that these recommendations will meet the needs of current and new residents while also providing the tools necessary in order to revitalize the commercial corridor along the Breeze.